Advances in Materials Science Research. 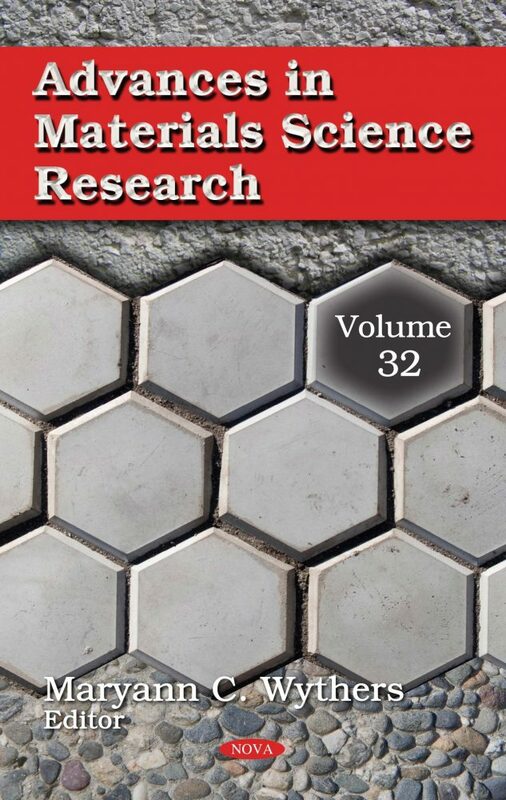 Volume 32 provides an overview on graphene oxide and discusses its role as a starting material building block in the fabrication of either graphene oxide or graphene (reduced graphene oxide) based nanocomposites. Characterization of such nanocomposites by various techniques and their uses in electrode surface modifications for electrochemical sensing applications are discussed in detail. The authors discuss Tribolab, a materials tribology experiment that was flown on board the International Space Station from February 2008 to September 2009. The main objective of the experiment was the study of the behaviour of new solid lubricants (specifically, molybdenum disulphide MoS2 alloyed with tungsten carbide) under real space conditions. The authors discuss facsimiles, a reprint of an out-of-print book that represents an identical reproduction of the original, aiming to establish which non-invasive methods give the instructions for preparing the proper facsimile. Later, an innovative, rapid sol-gel method for producing bioglass and bioceramic nanopowder is developed to produce pure amorphous bioglasses from a quaternary system containing sodium. This is 200 times quicker in comparison to conventional aqueous sol-gel bioglass preparation, and 100 times quicker than standard sol-gel bioceramic methods. Arylboronic acids are also explored for their applications in organic synthesis, catalysis, supramolecular chemistry, biology, medicine and material engineering. They can form different supramolecular systems via both covalent as well as hydrogen bonds.